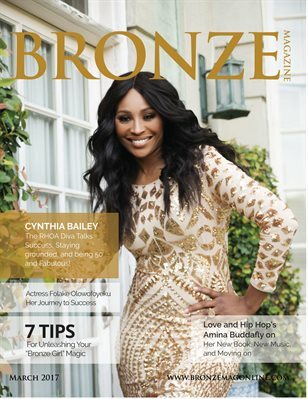 model, entrepreneur, and reality television star and actress from The Real Housewives of Atlanta (RHOA), Cynthia Bailey! We are delighted that Cynthia is gracing our cover this month. Cynthia, who not only recently celebrated her milestone 50th birthday and her 8th season on RHOA, possesses all the qualities of what we call, “Bronze Girl Magic,” strength, beauty, success, and the ability to inspire or empower others.